Yesterday news dropped that Jessie Frazelle has joined Microsoft, the latest hire in an increasingly impressive hot streak by Jeff Sandquist, who is building the Developer Advocate team for the Azure cloud platform. I wrote about the growth of the team recently, but Frazelle is high profile enough the topic is worth revisiting. The only container advocate/engineer in the same league as Frazelle when it comes to name recognition is Kelsey Hightower. Hiring her puts down a significant marker. Frazelle worked at Docker, with a quick stop at Mesosphere, then Google Cloud Platform, and now joins what has the potential to become an era-defining team at Microsoft. Between @jessfraz, @Kris__Nova, and @erikstmartin we have levelled the F up in the last few weeks. Pretty sure Sarah Drasner (CSS) joined between my last post and this one too. The list goes on. When RedMonk talks to platform companies they often ask us how to to improve developer advocacy efforts. We talk about good hiring generally, but specifically the need to have leaders in specific language and framework communities. Having a polyglot platform won’t win you plaudits or attention if you don’t have key language advocates on board. This post by Chris Tozzi about Kubernetes’ outsize share of voice is interesting in that regard. Go is the language of systems programming, and Microsoft has serious strength in depth there. 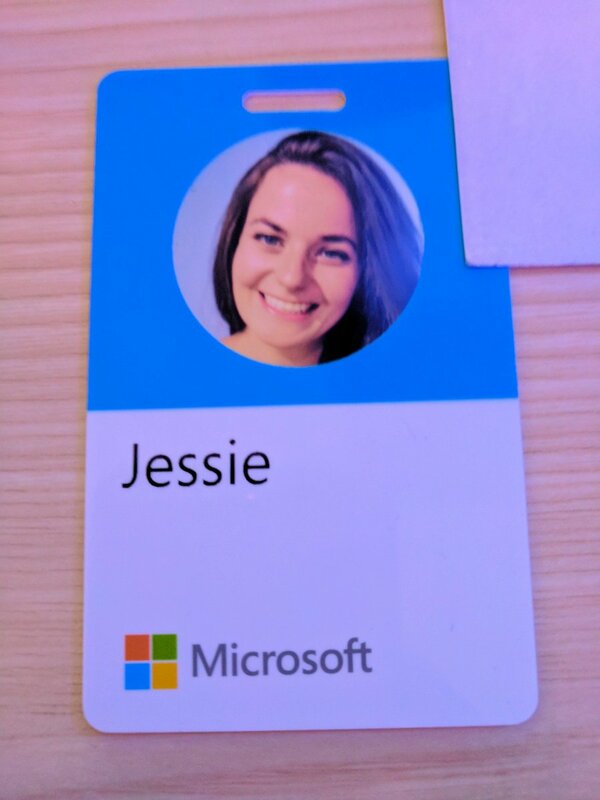 It’s also important to note, and I believe not coincidental to Jessie joining the team at Microsoft (though I haven’t talked to her yet about her decision), that not only is the company levelling up in terms of experience and aptitude, but also diversity and inclusion. Sandquist is hiring the best, and the best looks increasingly diverse and inclusive. Great teams are magnets for great people, and I know that all of this hiring will only make it easier for Sandquist to bring more excellence on-board. Traditionally a platform company is hiring folks that are all about their platform, but Azure just wants to win workloads, and so it’s very much embracing open source open communities and languages. But when you hire someone like Frazelle they’re going to dork out, and kick the tyres of all the stuff around them. Windows Subsystem for Linux will definitely be getting a workout. Frazelle is famous for showing off her laptop Linux setup. It could even be that Surface laptops get a bit more attention from systems developers, as a side benefit of all the new Azure hires running around with them. Linux innovation, you say. Microsoft is funding the new team by reapplying headcount, shifting from traditional sales people (who don’t know how to sell cloud) to developer advocacy and marketing. Amazon Web Services won’t hang around though – it has a number of positions open to grow its own team. Meanwhile Sam Ramji at Google will also be investing to build out his own team. I also have a lot of faith in Dion Almaer and Ben Galbraith over there too, to turn the dial. We can expect a major developer experience push around Firebase, for example. Overall however, hiring progress at Google has not been as fast as expected. I am going to make a set of lists to help track the team build-outs. Watch my twitter for that. The Microsoft shift is paying dividends – in terms of obvious momentum and outside perception. Now it needs to turn that leading indicator into adoption and deployment of workloads on Azure. Like half my Twitter feed joined Microsoft in the last month. It's crazy. Amazon Web Services, Google Cloud Platform and Microsoft are all clients.